Our range of centrefeed rolls our available in a variety of colours. A very economical paper giving excellent results for general wiping purposes. 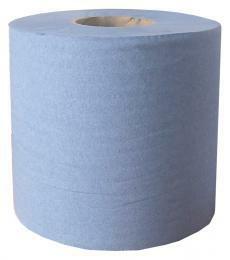 Standard offers a 150m210mm 2ply roll in blue or white. Economy (Mini) offers a 120mx195mm 1ply roll in white.